S.C. Farm 1 was established back in 1998 as a pork meat farm before expanding into another farm in 2001 where swine farm are intentionally raised to be overweighted for commercial purposes under the company called S.C. FARM 2. 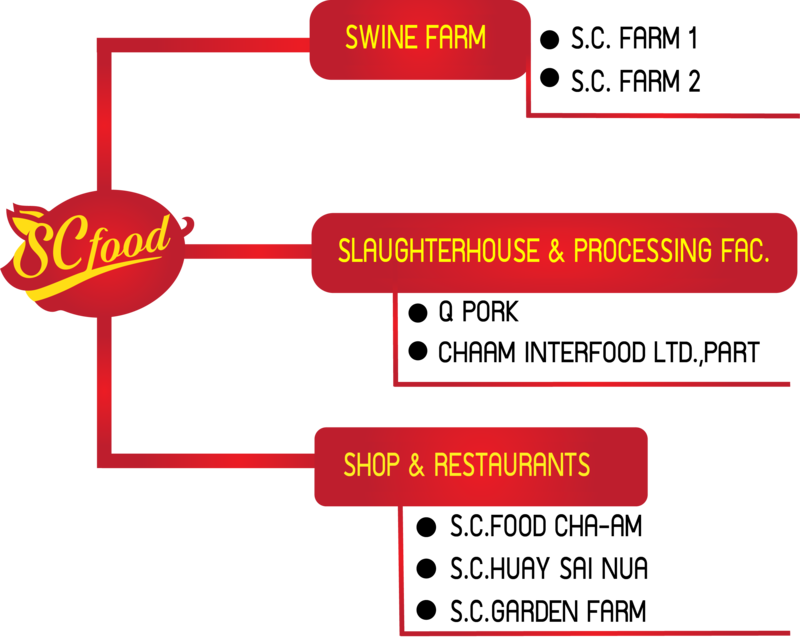 Later in 2007, we moved forward by opening a slaughter house, and a processing factory, Cha-am Interfood L.P., to enable us to send quality products from our farms to consumers directly. Following this we wanted to be closer to our consumers; hence, S.C. Food Cha-am shop was opened in 2008 to offer fresh pork and processed pork products. 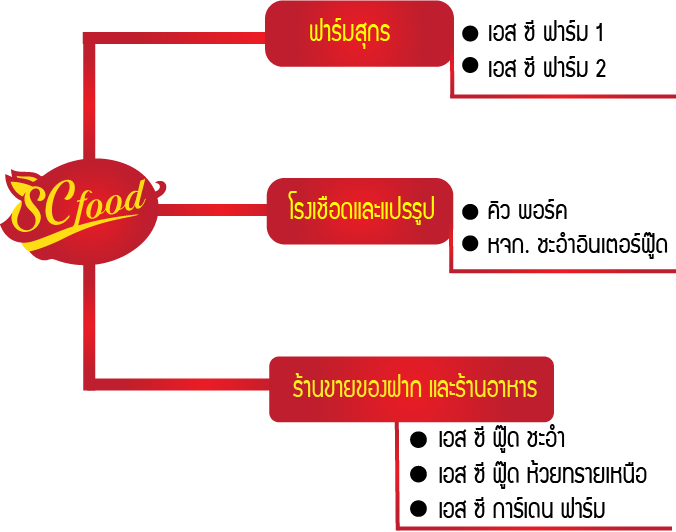 In 2014, we launched another shop called S.C. Food Huai Sai Nuea to reach more consumers. Also, we established an organic vegetable and fruit farm under S.C. Garden Farm in 2560. This is because we wanted to deliver organic vegetables and fruits to our consumers who are trending toward more health-conscious eating. We are a pork-free pork farm with consumer in mind. And the environment is important. We are an organization that controls the quality of production from farms, processed foods and distributions.